As I approach my one year anniversary of volunteering at PRERNA, I find myself reflecting on what drew me to this particular opportunity. I figured that my young adult children were well on their path and my husband was settled in his profession. I felt that it was a good time to change my routine and take on a new challenge. Since I am a registered nurse by profession and chose to step away from my career to raise my family, I thought it would be satisfying for me to “do good” by offering my healthcare insight and life experience to help others. I learned PRERNA was a non-profit dedicated to helping refugees become independent regardless of ethnicity and faith. I chose to work with refugees because I liked the idea of contributing toward the ease of their resettlement in our community. I joined PRERNA’s all volunteer organization as their Health Team Lead which felt like a blend of both my skills and passion. As one of my first responsibilities, I met with the husband, wife and teenage daughter of a refugee family from Afghanistan. Because I was excited and a little nervous to meet them, I utilized a nursing education principle for establishing a therapeutic relationship: “Meet them where they are at.” After introductions, I asked the family to share with me their health needs and concerns in order of priority. The husband used his moderate English speaking skills to translate for his wife and daughter. They had basic questions about things that many of us take for granted such as the appropriate face wash to use for acne and foods to eat for anemia. Also, they had questions about doctor ordered lab tests and follow up instructions. We finished our first meeting by taking a short walk to the grocery store where I showed them some affordable hygiene products for his daughter and foods high in iron for his wife. The family was very polite, respectful, and appreciative of my help. I felt honored to be able to lend a helping hand. PRERNA’s holistic approach to working with families has enabled me to function as a trusted advisor. As a result, I have seen refugee families improve their overall health and wellbeing. On one of my visits, a father asked if I could help his teenage daughter get a kitten to lift her spirits. While this is not a service offered, PRERNA supports a focus on integration. I agreed to look for an emotional support animal to help ease her transition. It took months of research before I found an affordable pet adoption at the San Jose Animal Care Center. His daughter chose an affectionate young cat to adopt. In that moment, father and daughter shared big triumphant smiles. I realized how important support with a simple thing can matter greatly to the wellbeing of a family resettling in a new country. Over time, I have become acquainted with the health needs of PRERNA’s refugee families. Newly arrived families most often are in need of assistance in accessing and understanding dental, medical and psychological health services. It is common for families from Afghanistan to arrive in the U.S. with a variety of dental problems from minor to serious. According to the refugees, families living in Afghanistan have little to no dental care or dental hygiene education. During an initial interview, the family will inform me of existing health conditions and concerns. With this information, I can facilitate appointments and encourage follow up with the community healthcare system. While working with a refugee family of eight, I encountered an urgent dental problem with their five year old son. He was suffering from another painful dental abscess. Although the first abscess was treated with antibiotics, a second abscess formed because he had not received necessary dental treatment. The local dentist had given the family a referral (in English) for their son to seek extensive dental treatment for his very decayed baby teeth from a pediatric dental surgeon. The father did not know how to see this process through. With my guidance and many weeks later, all the requirements of the dental insurance and the surgery center were complete. On surgery day, PRERNA arranged and paid for transportation to the surgery center for father and son. As they walked in to the building, the son appeared to be very brave and calm by his father’s side. After the procedure, the father and I were escorted to the recovery room to see his son. As the father leaned over to gather up his groggy smiling and nearly toothless son, we were informed that the dental surgery was successful. Once father and son arrived home, they were greeted by their very relieved and thankful family. It was a rewarding experience to help navigate this family through the challenges of their son’s urgent dental issue toward a positive health outcome. PRERNA’s health volunteers are able to facilitate the refugee families’ understanding of how to access and utilize the medical and dental healthcare systems available in their community. Additionally, we have been able to help coordinate the “puzzle pieces” of a given health need to support the families in getting the health services and information they require. Since becoming a health volunteer, I have seen health improvements that the refugee families have made because of the trusted relationships they have established. It has been an honor to coach the refugee families toward independence in advocating for their own health. In the near future and with more volunteer support, I would like to increase the depth of services to the families. These are a few examples of what we may offer: health topic forums; first aid training; follow-up on health issues; workshops on how to use technology to schedule medical appointments and check test results. PRERNA is committed to helping refugees start their new lives with strong physical, mental and emotional health. Lorrene began volunteering for PRERNA as the Health Team Lead in February 2017. 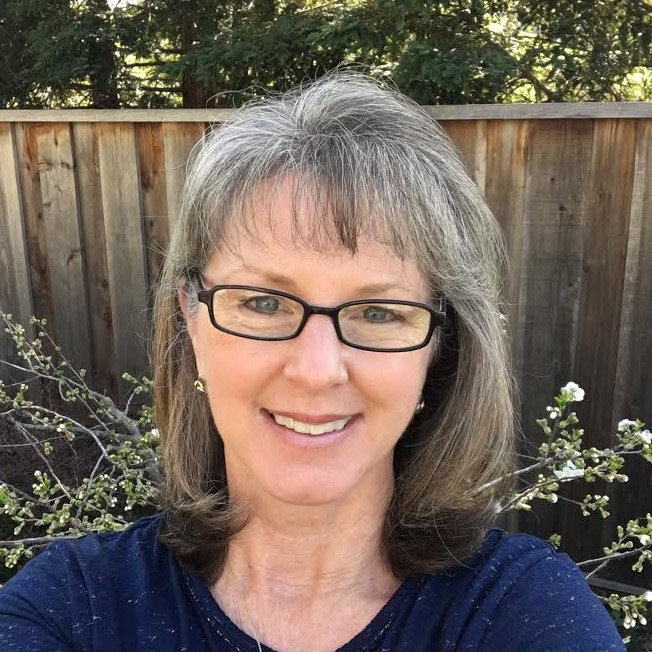 She is a registered nurse with ten years of experience in emergency nursing and two years experience as a school nurse in Santa Clara County. Lorrene earned a B.S. in Psychology from University of California at Davis and a B.S. in Nursing from San Jose State University.